In 2014, shares of precious-metal mining companies have been leading the gold price. That's different from what we saw in the past couple of years. The gold price outperformed the shares going into the peak in 2011 and through the remainder of that year. Now we are seeing the gold shares outperform the metal price. That typically is characteristic of better things to come. All markets are forward looking, so if the stock market is anticipating a better gold price, the shares are going to do better than the gold price at the beginning of an upward move. In contrast, when the price of gold continued to make new highs in 2011, it was front-page news. And yet the shares lagged conspicuously. That was a sign that the move in the gold price wasn't going to be sustained. Mining shares are highly leveraged to the gold price because of marginal economics. 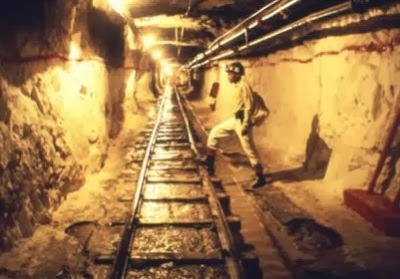 If the price of gold goes up 10%, that might mean the profitability of mining gold goes up 25%. Every company is a little different. In a way, mining shares are options on the gold price.